What is Photon CMS Generator? Photon CMS Generator is used to set up the main content management system functionality. 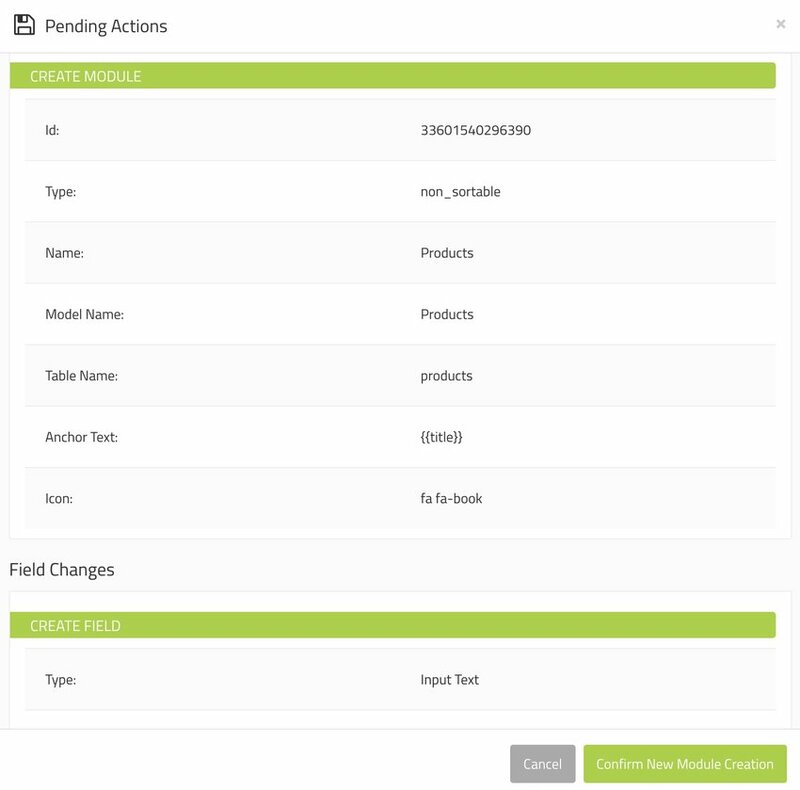 You can use the Generator to create, modify and delete modules and their fields. The Generator has a change reporting built-in as a way to check if you've set up all the module parameters correctly, before hitting the submit button. Having an opportunity to review the changes in a brief report is a true life-saver! The Generator uses a built-in transaction controller. Handling of all requests is performed through transactions and in an event of a failure, the transaction is rolled back. In transactions which impact data in tables (for example removing a field), data will still be affected so be sure to back up your data before using the generator! Also, some actions can't be rolled back. In example, if the transaction is broken after the migration is performed, the database structure is already altered and it can be impossible to roll that change back.